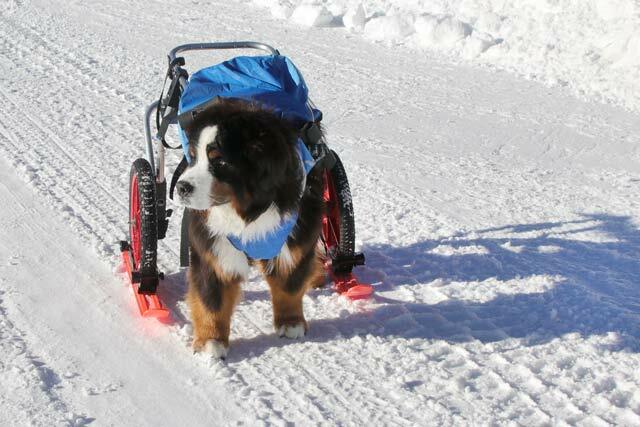 Tripawds Community member bridgeryellowstone is recipient #55 of the Maggie Moo Fund for Tripawd Rehab. 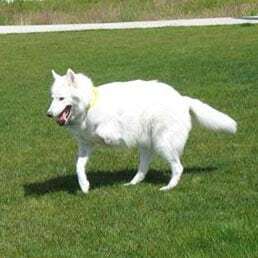 Read on for details about the benefits of canine rehabilitation for three legged dog Bridger. 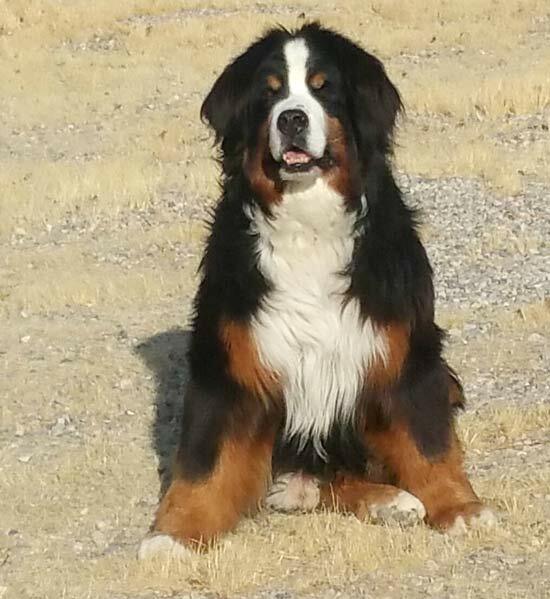 Our Tripawd is Bridger aged 9 years and he is a Bernese Mountain Dog, our hero and love of our life! We also call him our angel. He has never let the loss of his leg stop him from doing anything. In September 2017, we went to see the doctor for what we thought was a torn ligament or tendon. Instead we were gut punched with the news it was cancer. The vet told us he wasn’t really a candidate for amputation. We were shocked and asked why? We were told he was overweight; a large dog; and his life span would not be that much longer! I told the vet that he was in excellent shape – it was all hair – to which after re-examining the vet agreed. He hiked with me 2-3 miles a day; he paddleboards and so much more. I could go forward from the amputation if it didn’t work but I could not go back from an euthanasia! He had his right rear leg amputated due to chondrosarcoma at 6.5 years. He did awesome after his surgery and only in the last 6 months has he seen some problems. Bridger has a “Corvette” – we don’t call it a wheelchair! He has two speeds – stopped and fast – thus the corvette! He also has skis for his corvette! We went to see a rehab therapist – Dr Patricia Wagner at Boca Park Animal Hospital – on Feb 15th as he has been struggling for the last few months with getting up without our help and walking without assistance – he basically needs us to rudder his tail to keep his balance. Dr. Wagner suggested Adequan and to do some underwater treadmill rehab. We already do some swimming; balance exercises; massage and stretching. She did not recommend any other exercises. So far, we have seen some improvement. The swimming is definitely making him stronger. We are hopeful the Adequan is going to help as we have seen some improvement. The one thing I learned from this experience is that we have a great team of help and this is one more tool in the tool box. We are going to keep doing strengthening exercises; our FitPAWS Donut and be open to other suggestions. We are also going to build our own wobble board. Heard about Tripawds from our vet in 2017 and friends. Such a handsome fella’! What a stunning looking doggy! Glad to hear that he is doing so well. I love his snow mobile! Sorry you didn’t get some exercise suggestions to build up his tummy muscles. One thing you can try is going from sit to stand for maybe five repetitions at first. Slowly increase the repetitions. And lots of massages are always beneficial for tight muscle release.